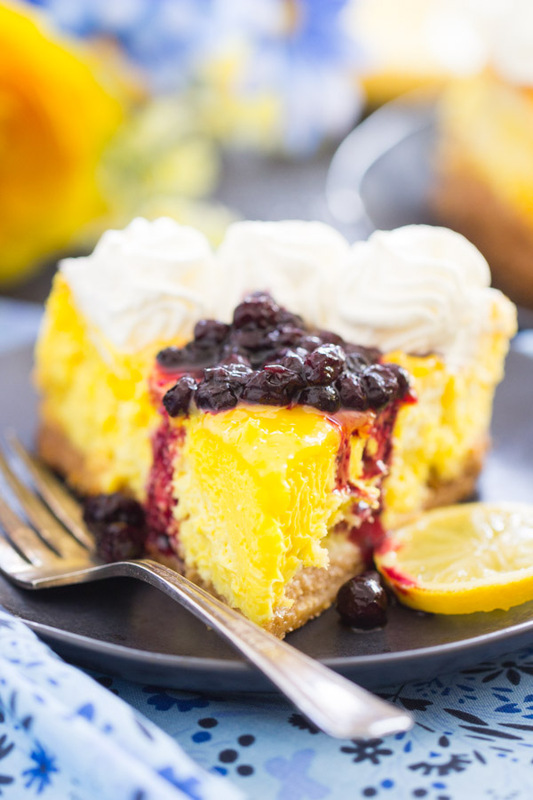 Rich, creamy, tangy lemon cheesecake with homemade blueberry compote! 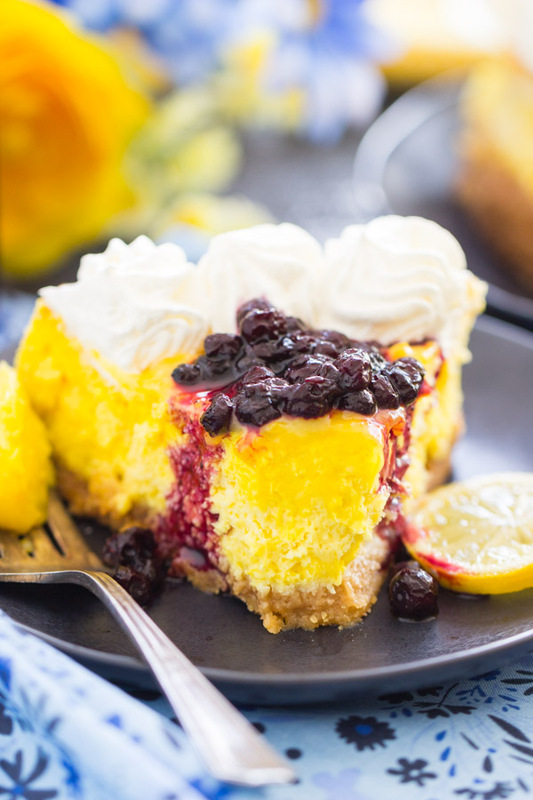 This Lemon Blueberry Cheesecake is made with a Lemon Oreo crust, flavored with lemon zest and lemon juice, and topped with lemon curd, candied lemon slices, and blueberry sauce! 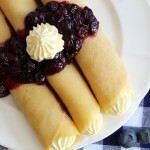 The ultimate springtime dessert! 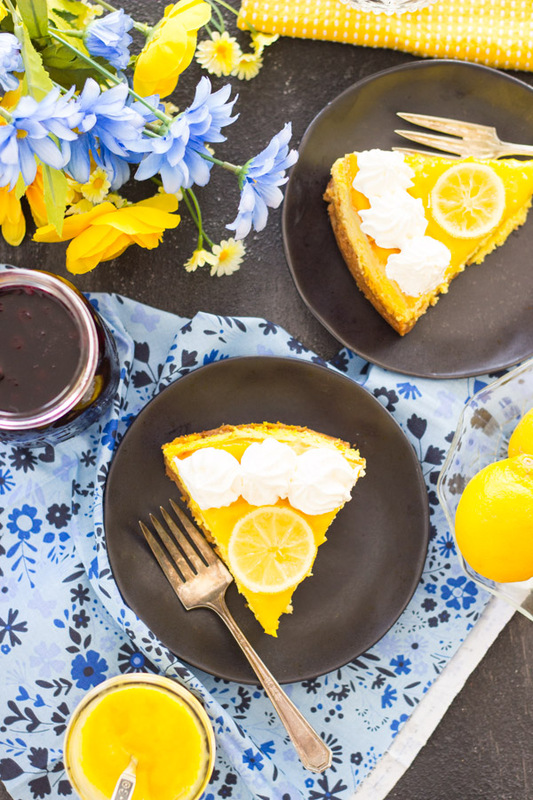 I wanted to share this awesome Lemon Blueberry Cheesecake in time for Easter, but I didn’t get to it, and then a friend asked me what she should make for Easter, and I shared this Lemon Blueberry Cheesecake recipe in advance of the post so that she could make something new. It was helpful for me that she made it because it gave me another round of testing! I made it, based it from my tried-and-true cheesecake recipe, and loved it. I shared it with family, and they also loved it. But now I also have a friend that followed the recipe instructions, and had a successful result. Also, she pointed out that I forgot to include any assembly instructions with the lemon curd or blueberry compote as toppings. Whoops! I proofread multiple times, but it’s still so helpful to have an extra set of eyes… and tastebuds! This Lemon Blueberry Cheesecake is my latest favorite cheesecake. I almost dare to say that it’s my favorite cheesecake of all time, but I’ve got a lot of good ones, so it would probably be too bold to say it’s my #1. However, it’s damn close to that #1 spot. 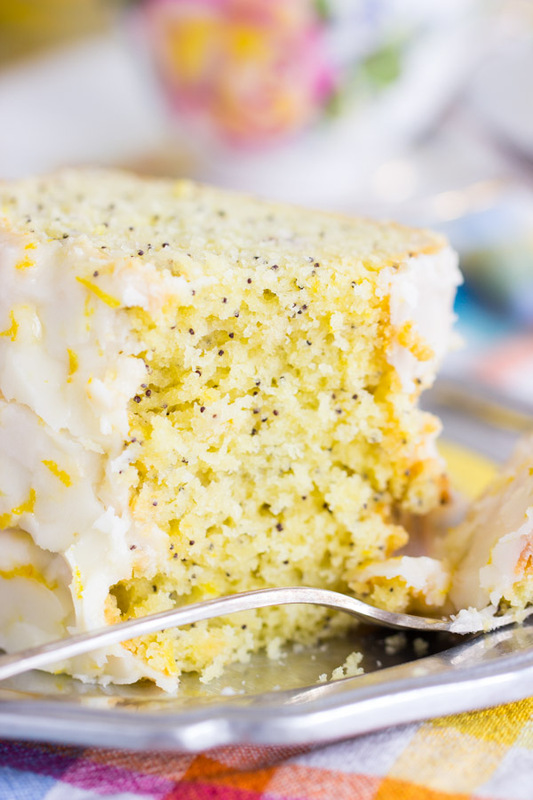 It’s so so creamy, so so tangy, and so so lemony! It has tang and zest from top to bottom. Crust – check. Cheesecake – check. Lemon curd – check. Candied lemon slices – check. Lemon, lemon, and more lemon. The crust is made with Lemon Oreos, so you get great lemon flavor built right in. They are easy to find and aren’t a limited edition flavor. Must use them! 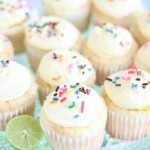 The lemon cheesecake filling is my favorite rich and creamy cheesecake, spiked with fresh lemon juice and lemon zest. That’s really the only extra ingredients for the cheesecake layer, but they’re all the difference. Did I mention how creamy it is? It’s almost ridiculous. 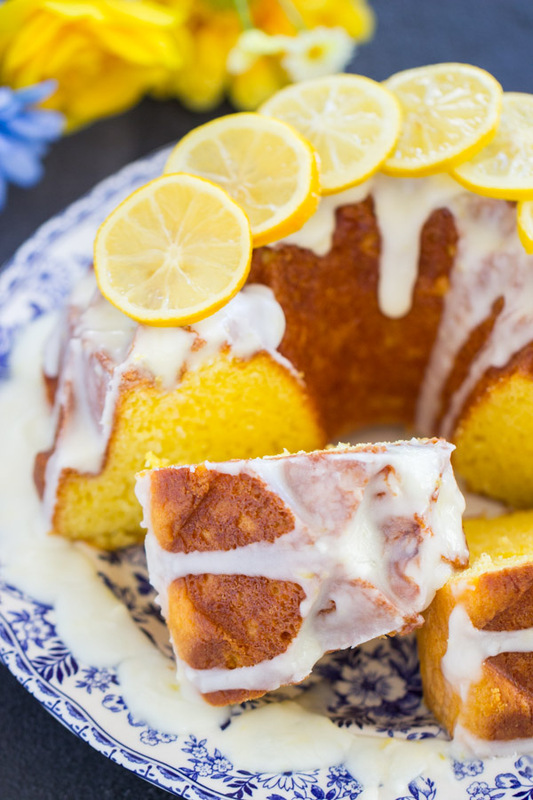 The lemon curd on top is so bright and zesty. You guys know I’m obsessed with lemon curd (any citrus curd, really), and I’ve used it in a million recipes before. It’s just the best spread. Sweet, but tangy, and a nice, silky texture. I love it. Top the lemon cheesecake with lemon curd, and then hit it with homemade blueberry compote. 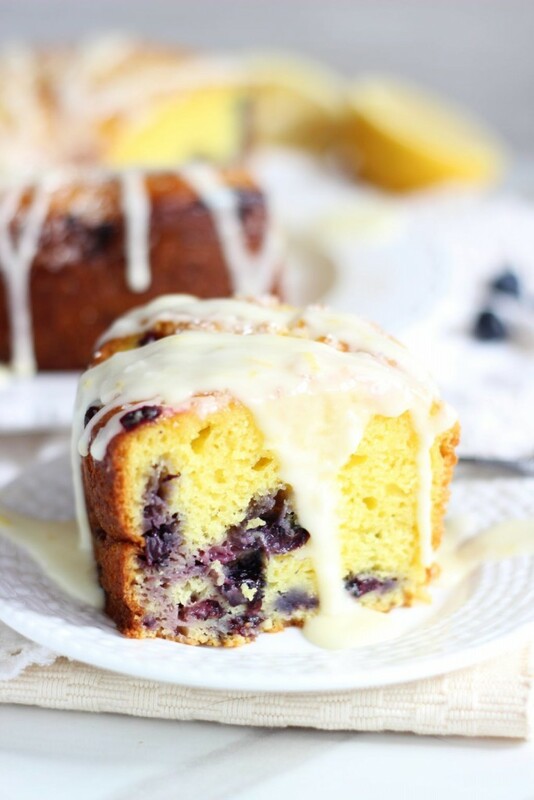 Who doesn’t love the combo of lemon and blueberries? No one, that’s who. 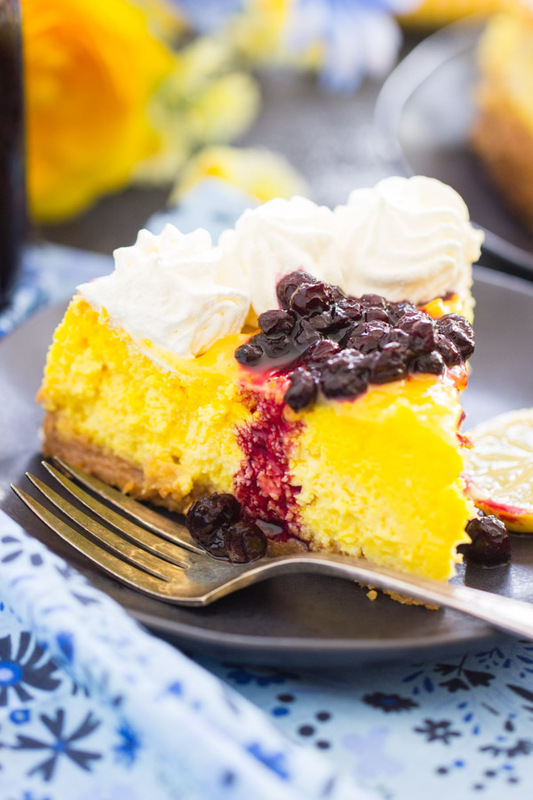 One bite of this Lemon Blueberry Cheesecake: HELLLLLLLLO, spring! It screams spring from top to bottom. It definitely does have quite a few components, but every single one of them is totally worth the end result. 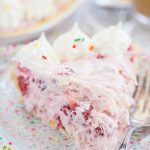 I have a ton of easy cheesecake recipes on the blog (both no-bake and traditional), but this is not necessarily one of them. It’s not difficult, but there are a few additional steps that make this cheesecake outstanding. If you’re looking for simpler cheesecake recipes that fit with springtime, I’d recommend this Key Lime Cheesecake with Pretzel Crust, this Amaretto Pistachio Cheesecake, or this Honey Pecan Cheesecake. 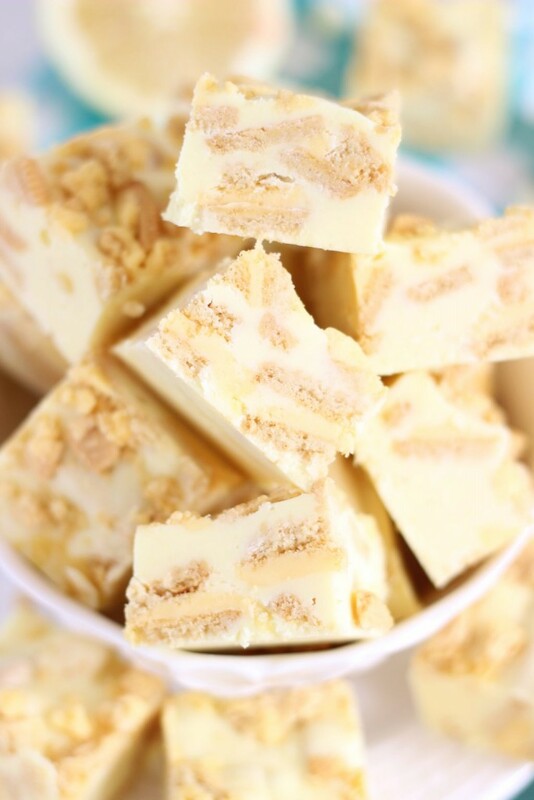 For no-bake options, this Cookie Butter Cheesecake with Biscoff Crust is GREAT, or these Biscoff Cheesecake Bars. 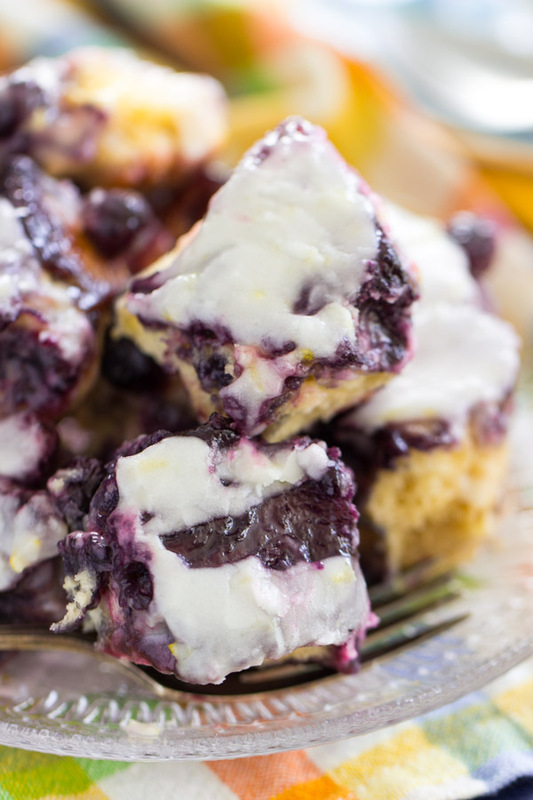 This Lemon Blueberry Cheesecake is one to make for a special event or holiday. It’s perfect for Easter (next year?? ), or Mother’s Day, or a bridal shower. 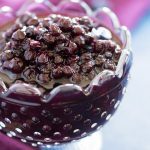 If you want a fancier, elevated dessert, and one that will show you made more than minimum effort, this is what you make! 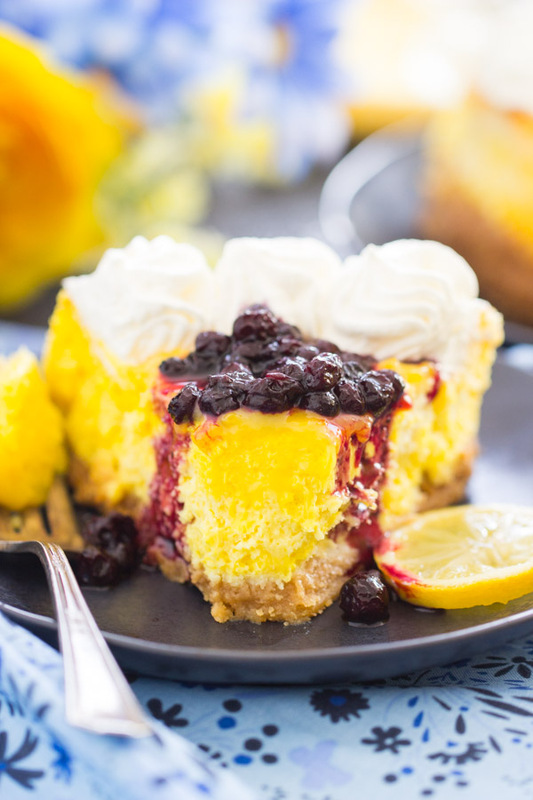 Rich, creamy, tangy lemon cheesecake with homemade blueberry compote on top! 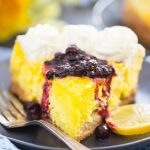 This Lemon Blueberry Cheesecake is made with a Lemon Oreo crust, flavored with lemon zest and lemon juice, and topped with lemon curd, candied lemon slices, and blueberry sauce! 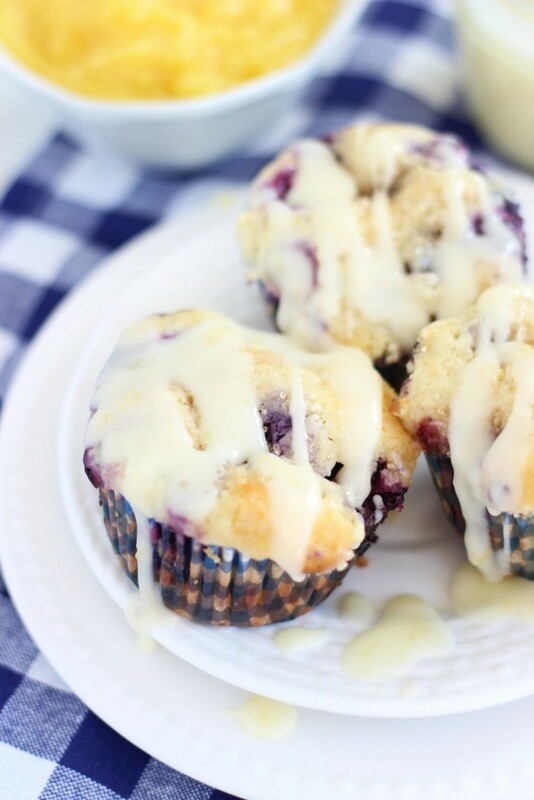 The ultimate springtime dessert! Place Oreos in a food processor, and pulse until fine crumbs. In a medium bowl, combine Oreo crumbs, sugar, and butter. Press into the bottom of a 9-inch spring form pan. Add sugar, and beat until combined. Add vanilla, lemon juice, lemon zest, and a few drops of yellow food coloring. Bake at 325 for about 60-70 minutes, or until the edges are golden brown, and the center of the cheesecake is slightly jiggly. Once cool, run a knife around the edges, release the sides of the springform pan, and remove cheesecake to a serving platter. Refrigerate until ready to serve. Meanwhile, prepare lemon curd, candied lemon slices, and blueberry compote. Transfer the curd to a small jar and cover it. In a large skillet over medium heat, combine sugar and water. Cook until sugar is dissolved, stirring occasionally. Add lemon slices in a single layer, and simmer for about 15 minutes, or until they're slightly translucent, and the rinds are soft. Using tongs, remove lemon slices and place on a parchment paper-lined baking sheet in a single layer. Store candied lemon slices for up to 2 days in the refrigerator. Combine 1 1/2 c. blueberries, water, sugar, and lemon juice in a large saucepan over medium heat. Add remaining blueberries, and cook for an additional 10 minutes, stirring occasionally. Allow to cool - it will thicken as it cools. 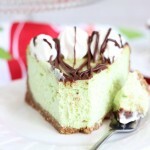 Pipe or spread whipped cream around edges of the cheesecake. Spread a layer of lemon curd evenly over top of the cheesecake. Garnish with candied lemon slices. To serve, cut cheesecake into slices, and top with a heaping tablespoonful of blueberry compote. 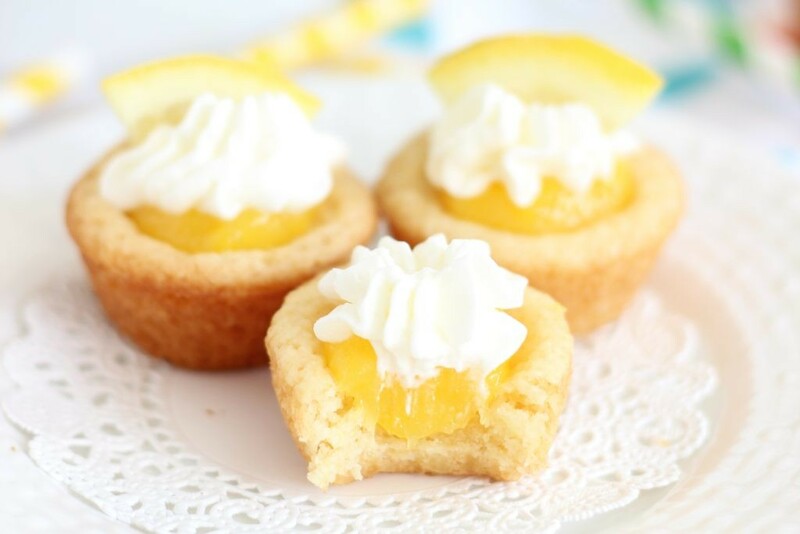 You may also like these lemon desserts! Everything about this recipe is amazing. 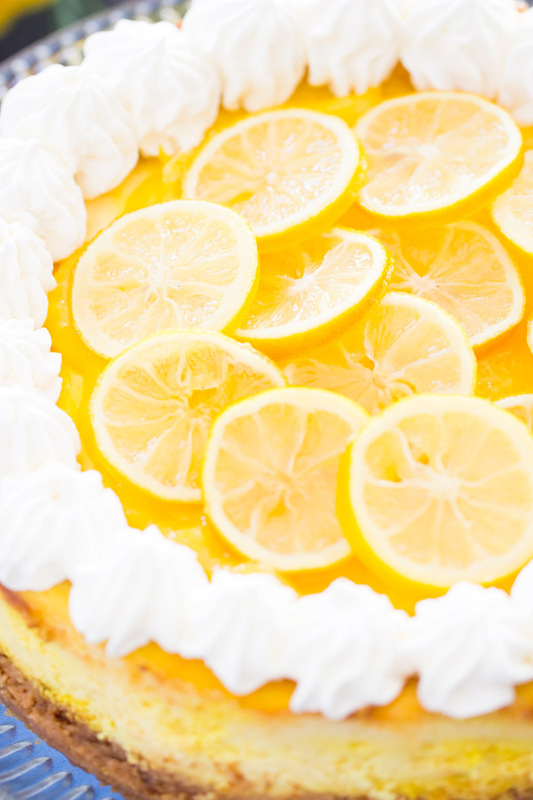 The lemon oreos for the crust though…that officially brings it into utter genius territory! As the tester-friend, this is a wonderful recipe and perfect for Easter and Mother’s Day! It’s just beautiful and more importantly delicious! As great as it is, my favorite part was the crust. OMG!